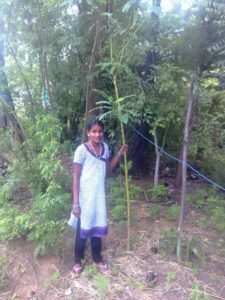 PSA has launched a forum called’ friends of Trees’ with the aim of fighting climate change through green initiatives in Manikandam region of Trichy, District, Tamil Nadu, India. 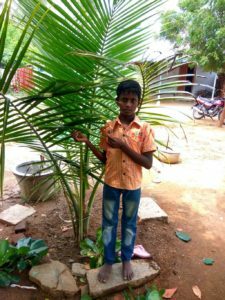 As many as three hundred rural students from classes 6 to 10 grow a variety of plants around their houses or farm lands. 2000 saplings have survived and are set to become big trees, providing an extended green cover in the locality. 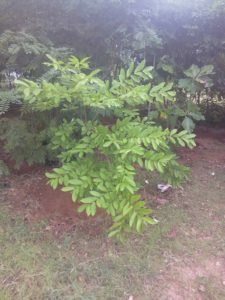 PSA provides saplings of fruit bearing, medicinal, nutritional and flowering trees for children to choose according to their interest. The children attend a brief orientation before they plant the trees. The orientation includes topics like causes of climate change, the role of trees in fighting climate change and basic steps to be followed while planting and growing trees. The children are encouraged to record their involvement, growth of trees, problems faced and so on. PSA rewards these “green heroes’ with certificates and prizes as a token of appreciation. “It is heartening to note that this green campaign is gaining good acceptance from children. 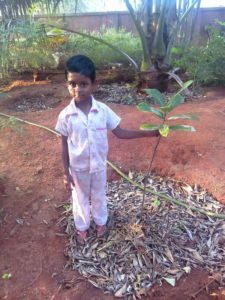 New kids in the surrounding villages volunteer to grow trees as part of this initiative”, says Mr. John Peter, the Secretary of people’s solidarity Association.